Gemini Auto Lifts’ Two Post Lifts are perfect for both home and commercial use. Our GP-9 and GPO-9A models are used for car and truck maintenance and dismantling in shops all over the United States. We call the GP-9 Lift “Old Faithful”. Variations of this model have been in production since 1970, though we’ve never stopped improving on the initial design. 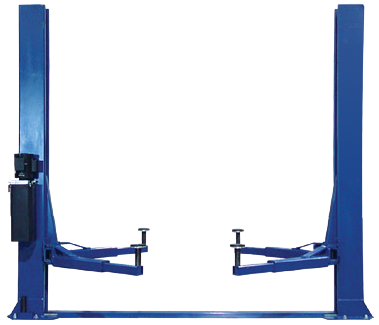 The center-load design makes it ideal for trucks and other 50/50 weighted vehicles.